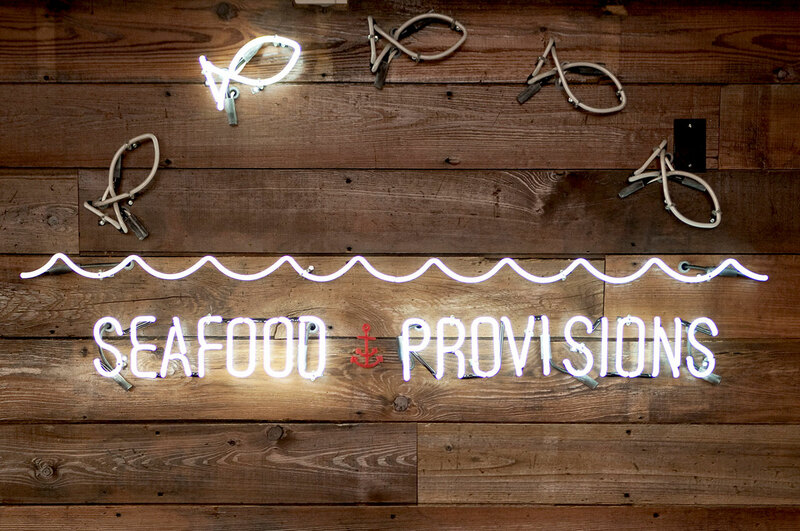 There’s a lot of skepticism around the quality of a land-locked seafood restaurant. If it is fresh, it may seem too expensive and/or too fancy. 2 of the 3 brand attributes were built to put those assumptions to rest. The association between the brand attributes and the visual identifiers is the long-term plan to make solid and consistent branding. 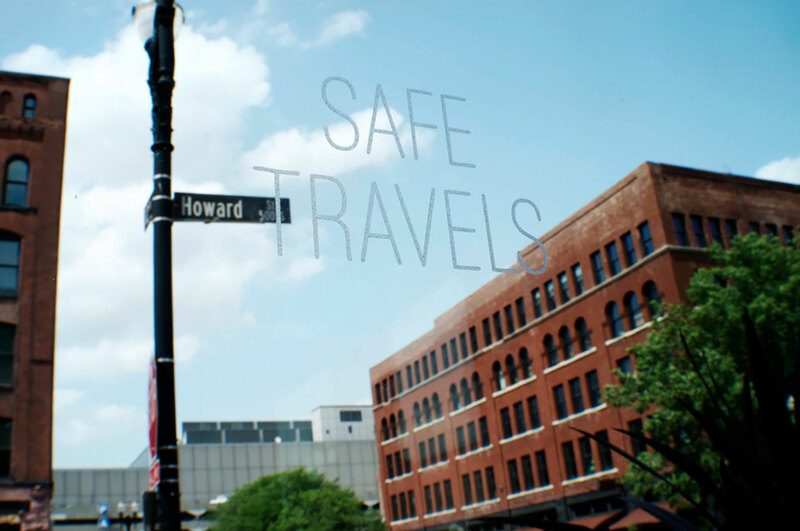 The client may never see these, but we explore hundreds of avenues. 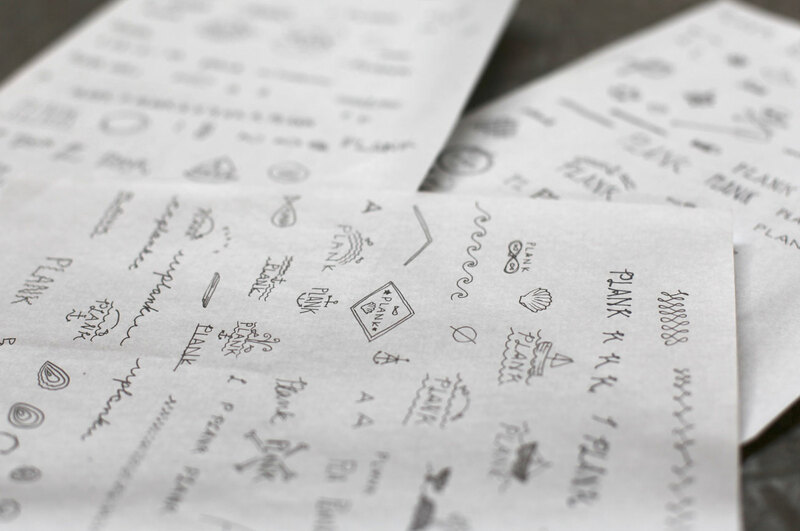 Based on what we learn through our exploratory process with our clients, we whittle it down to one final logo. 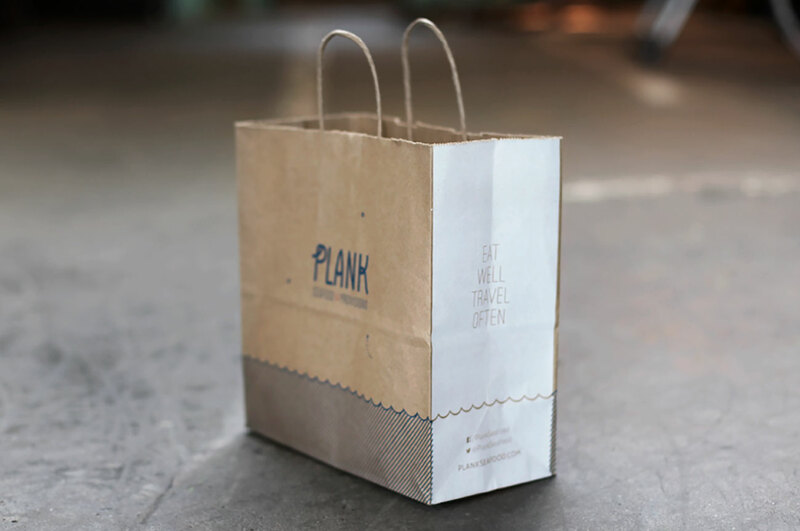 Plank’s logotype feels a bit like it was made of a sailor’s rope. The letterforms have sturdy bones not unlike a boat with some playful quirks, representative of the utilitarian yet welcoming atmosphere of the restaurant. 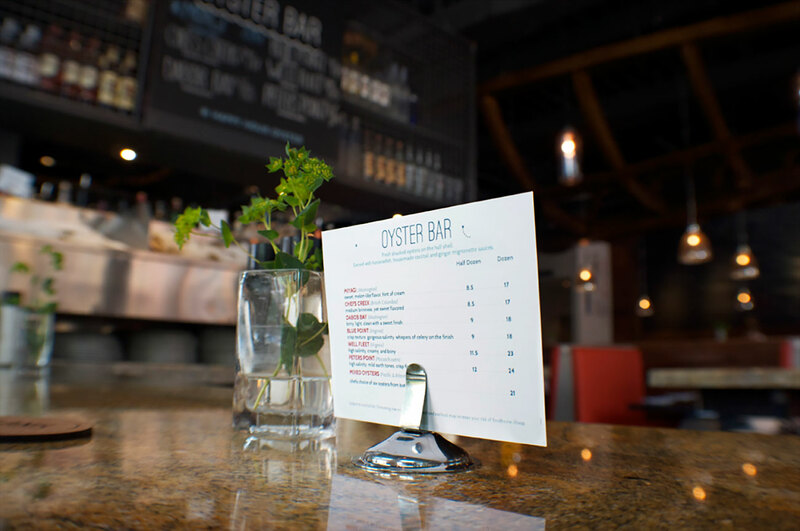 Everything you need at first glance: hours, location, and phone number for reservations. 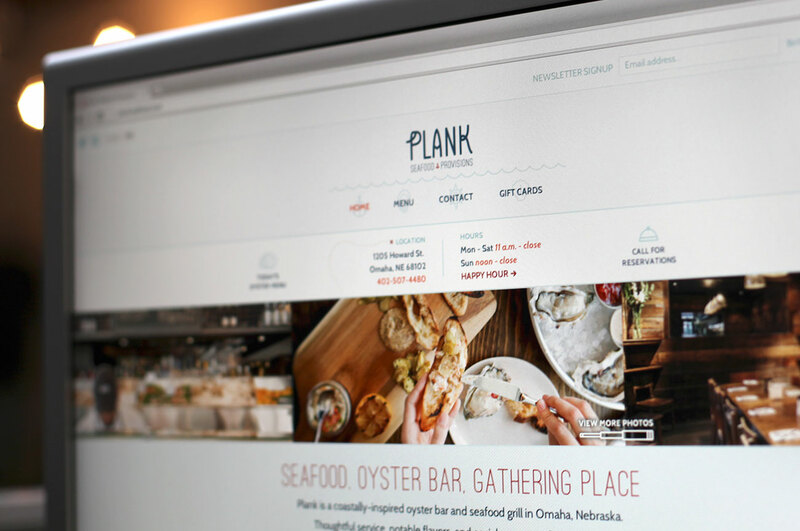 It also has one of the most important features on a restaurant’s website: a way to complain. 7 out of 10 disappointed guests won’t complain, they just don’t come back. Hand screen printed long rolls of paper to cover all the windows during the build-out in the Old Market of Omaha. We didn’t want our first impression to not fit in with the charm of the neighborhood. 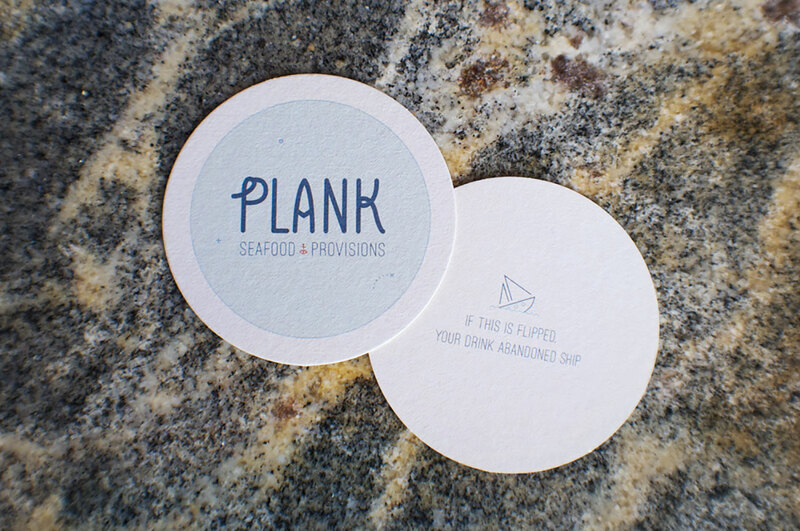 Laser-etched coasters with tiny nautical map inspired symbols. These were made with the hopes that they’d get stolen – and they have. In terms of marketing, it doesn’t get much better than seeing one of these at someone’s house. Word of mouth is still the best. The idea of jumping fish came from showcasing how fresh the food is that is being served. When the fish are jumping, that means they have fresh fish that day… since it’s flown in daily, they’re always jumping. This is covering the server’s station in the back. 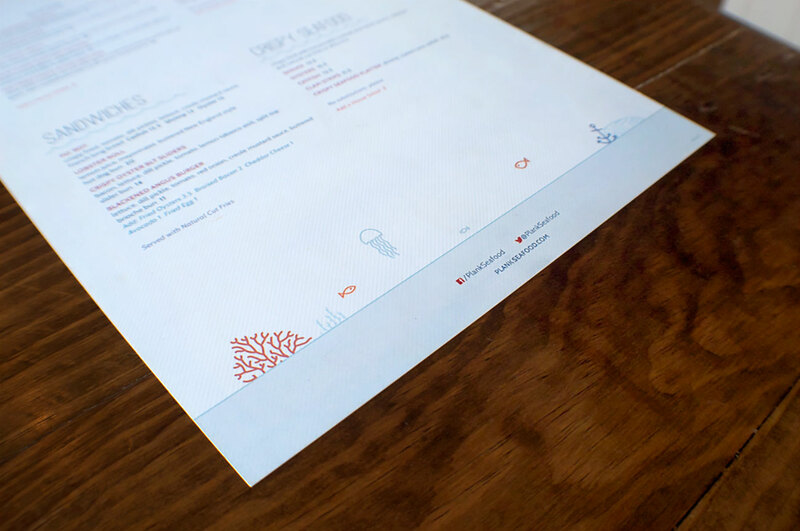 Menu layout is truly a science. We kept it nice and airy so the guests feel relaxed and can easily find items. 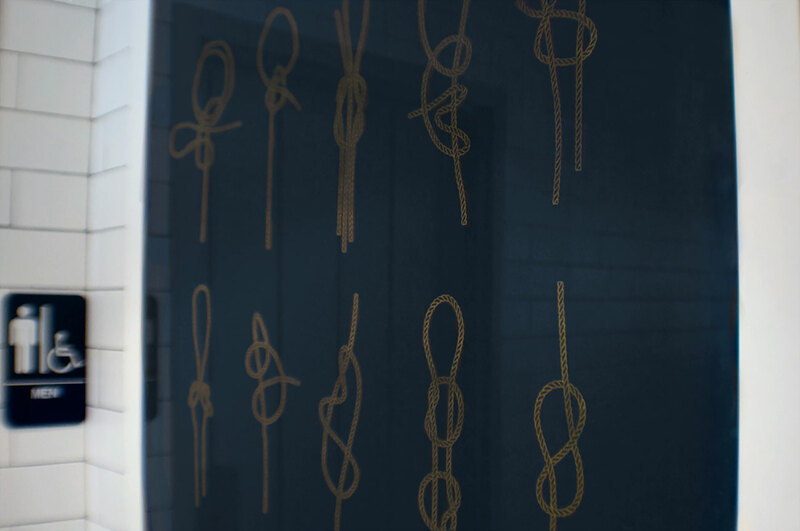 We bound these with rubber bands for a unique look – but also for functionality when the drink menu changes up. See the chairs in the background? They were custom made by a lady in NYC from old boats! 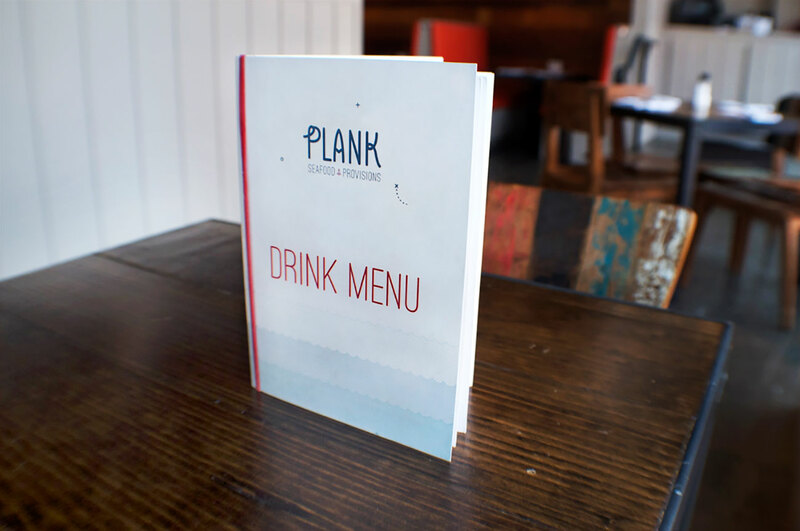 This menu changes daily and is updated and printed at Plank on their special textured paper that reminds us of corral. No plastic table tents here. 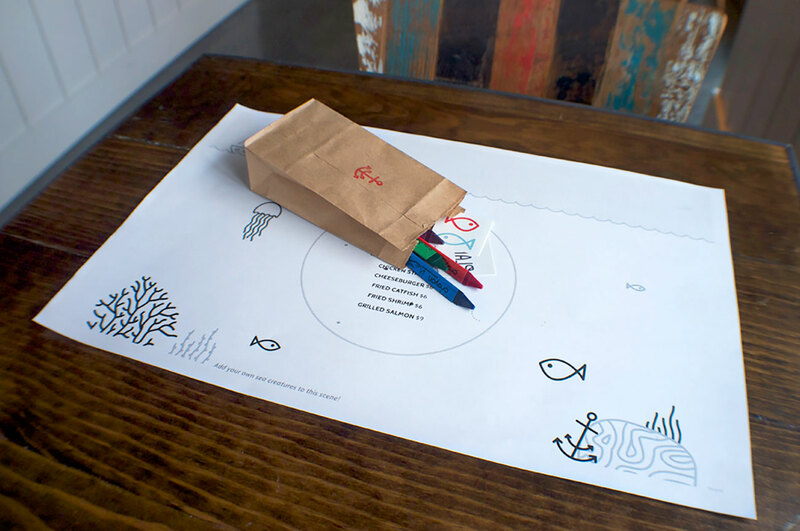 The young guests are surprised with a hand stamped pack full of temporary tattoos, 7 crayons, and an activity menu. We didn’t forget about the parents… these triangle crayons won’t roll off the table – however, if our young guests throw them on the ground, that’s another story. 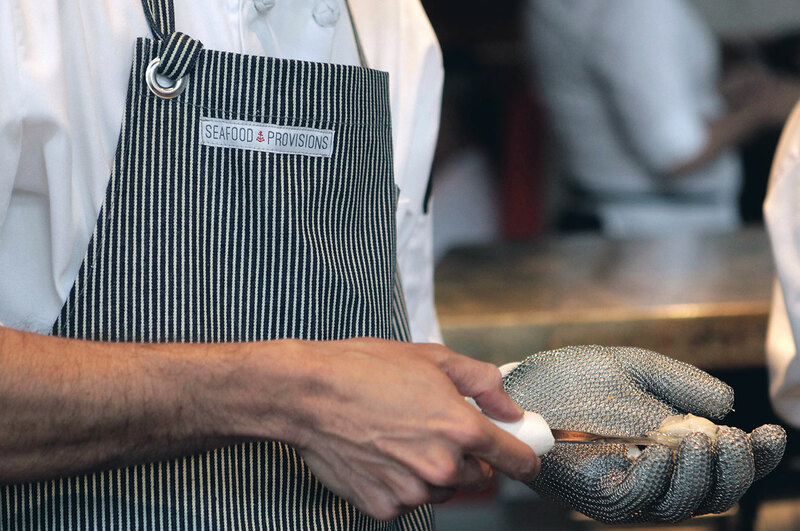 Custom-designed, crafted and branded pin-striped aprons for the shuckers. 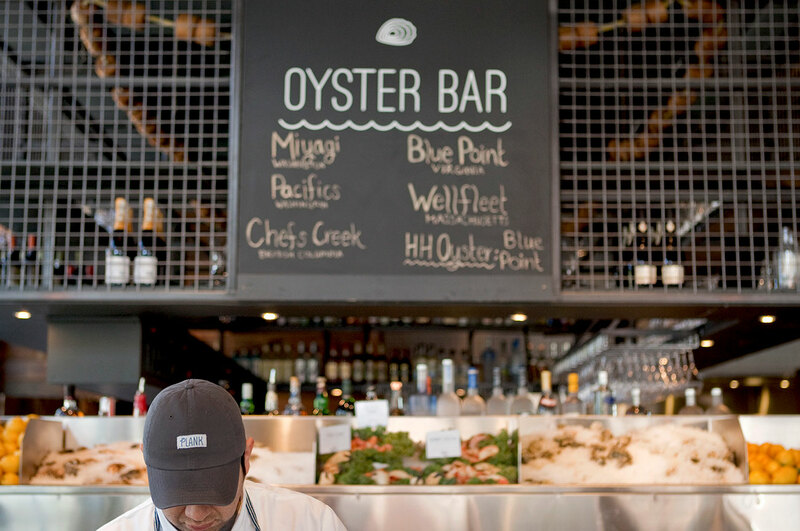 The shucker in the custom Plank hat can keep the daily chalkboard updated with fresh oysters. We love pleasant little surprises. They’re memorable moments. Not many people will see the backs of the coasters, but when they do, we hope they smile with this light-hearted experience. Another way to let customers contact the restaurant later if they have a complaint. With 7 out of 10 guests who don’t complain and never come back, we want to make every possible way for them to reach out. 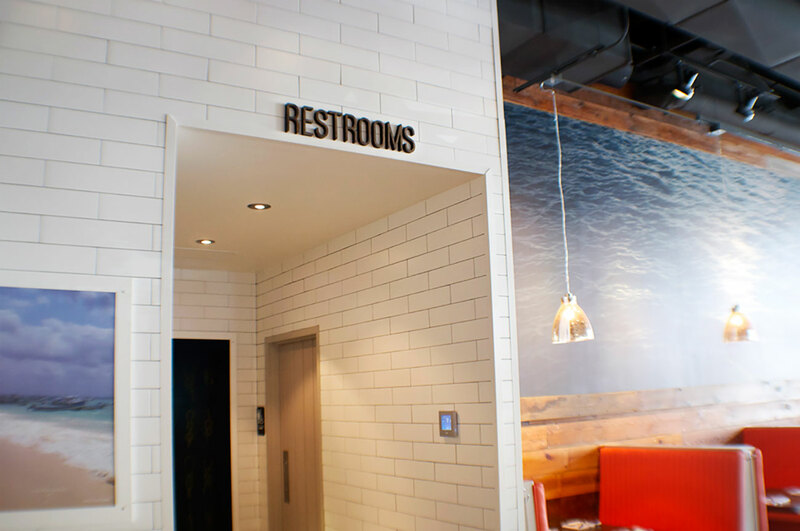 Ever potty-dance around a restaurant? 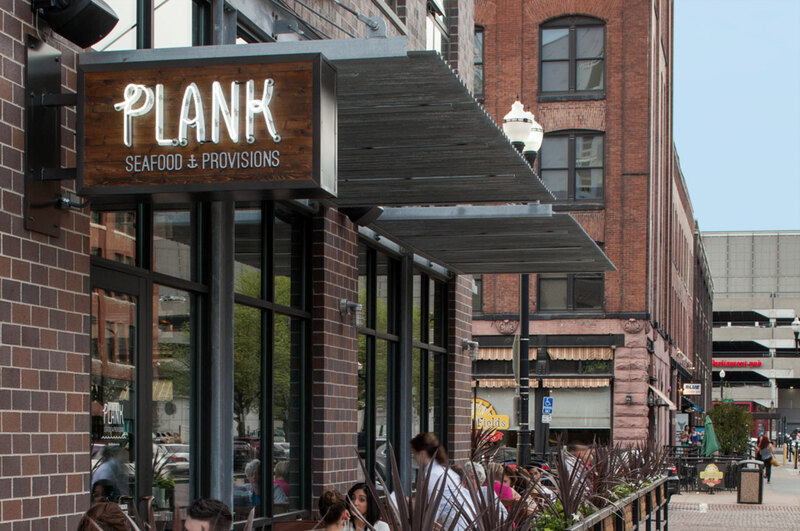 This sign was created from reclaimed wood to help avoid that. The beautiful water mural is from our photographer friend, Dan Muller, who shot it on his honeymoon. There are tiny hints of orange from the sunset on the tips of the waves that match the orange booths. 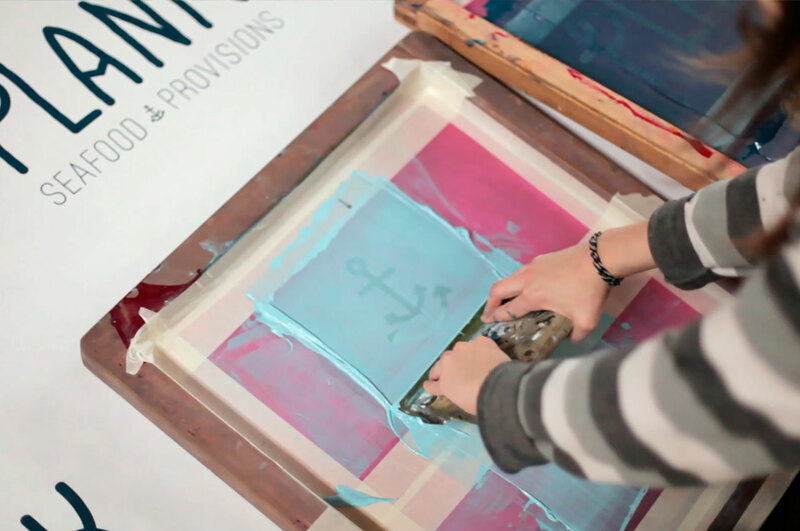 We illustrated a lot of knots, screen printed them on large sheets of fabric and framed them. 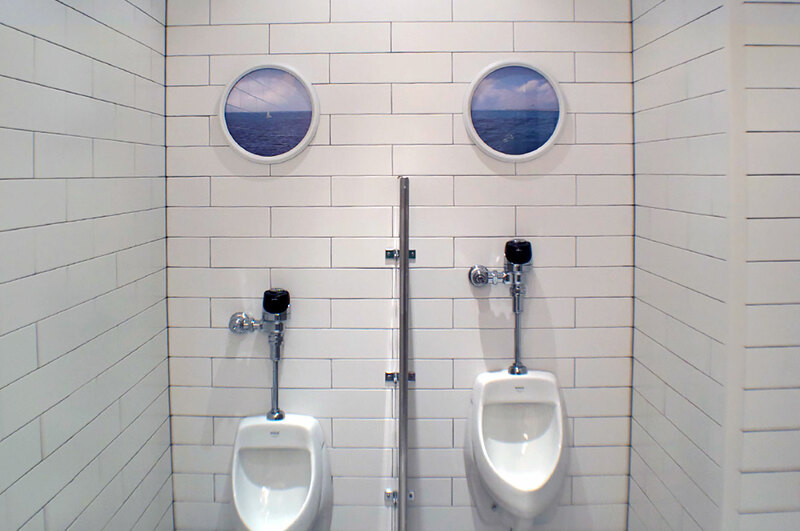 “Portholes” looking out to the sea from photos that one of the owners shot. 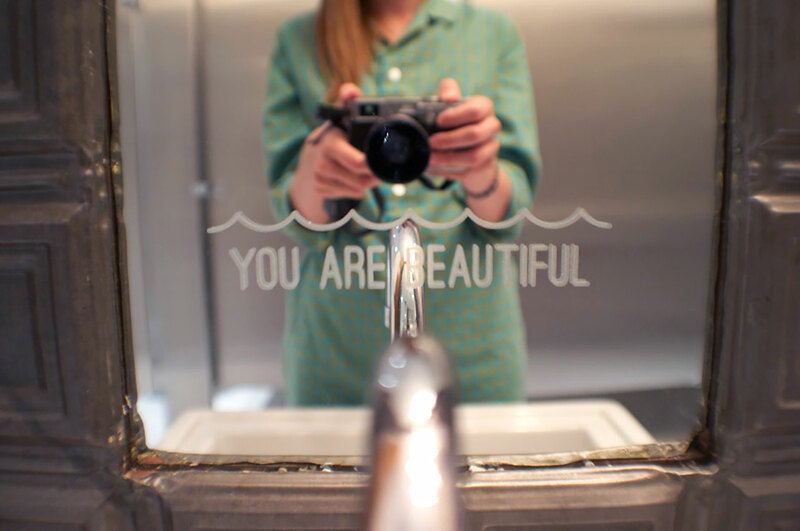 We partnered with You Are Beautiful and added these on the mirrors in both restrooms. Everyone needs to hear this sometimes. 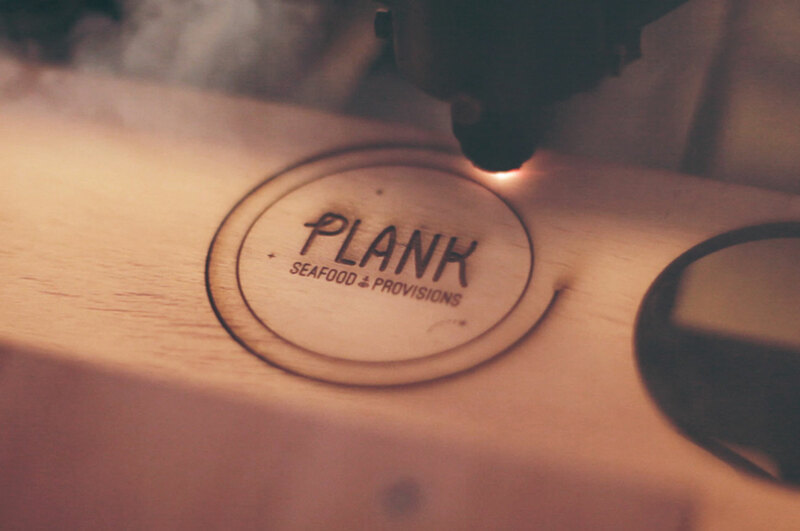 Neon signage inspired by mid-century pier signage. A farewell on the exit door. Recycled paper bag with adventuring quote/good advice. 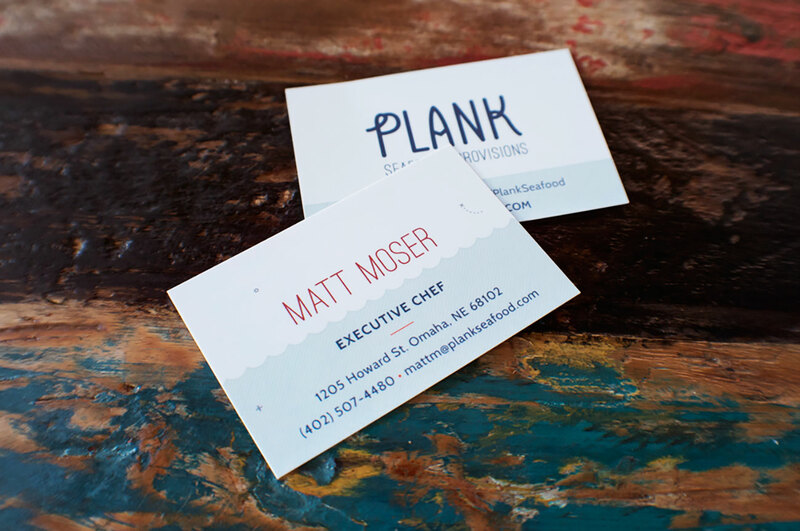 "Without a doubt SecretPenguin has contributed immensely to the success and growth of Flagship Restaurant Group since the inception of our relationship. They are not just a design firm but offer guidance in many areas of our operations. They are a group of individuals who love what they do and will go above and beyond at their own expense because of their passion for their work and their customers! "SecretPenguin puts a heavy focus on creativity and aesthetics... but pays just as much attention to function and practicality. No detail is left behind. Give them your marketing objective and they will meet it - sometimes even challenge it. I love asking SP for strategy advice. Not only do I get a thoughtful opinion, but ideas and suggestions backed by data, which is pretty cool. Smart. I often ask myself, WWSPD? Because that’s what I want to do."